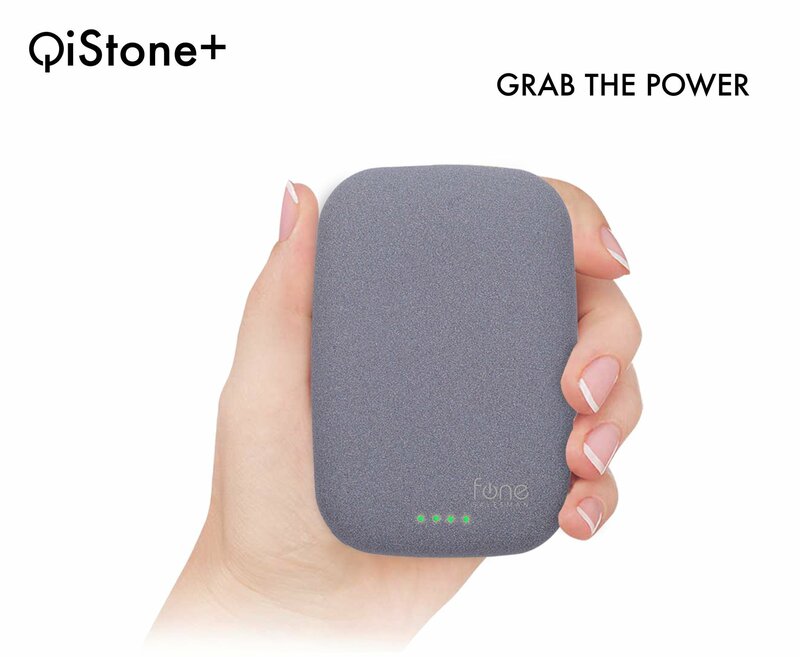 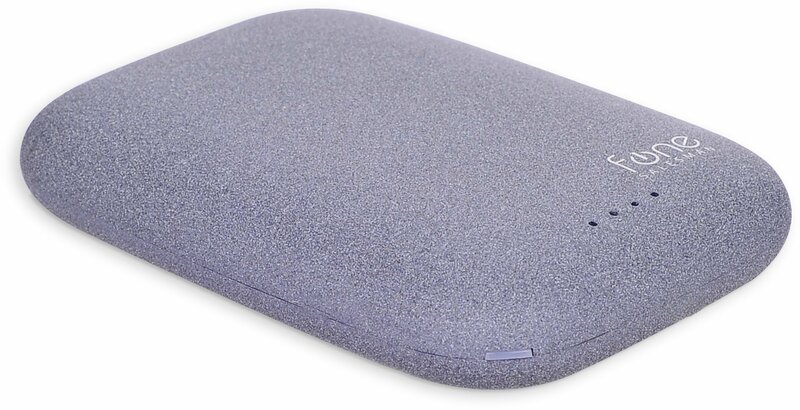 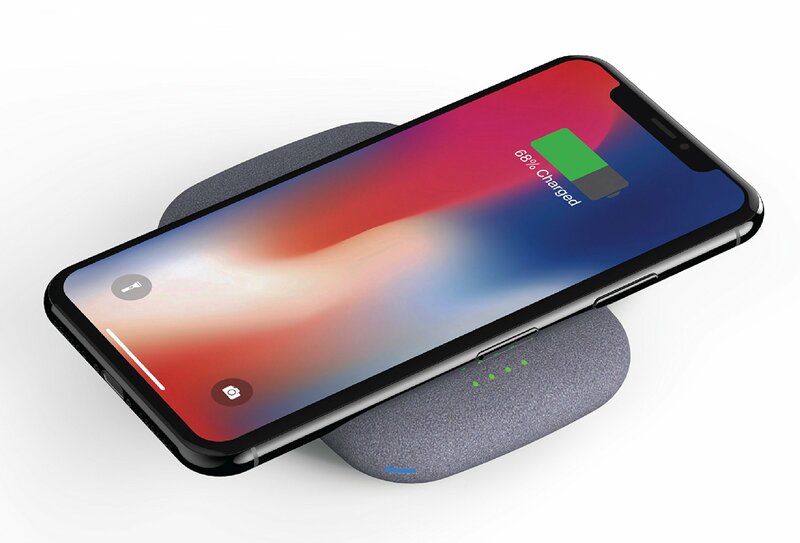 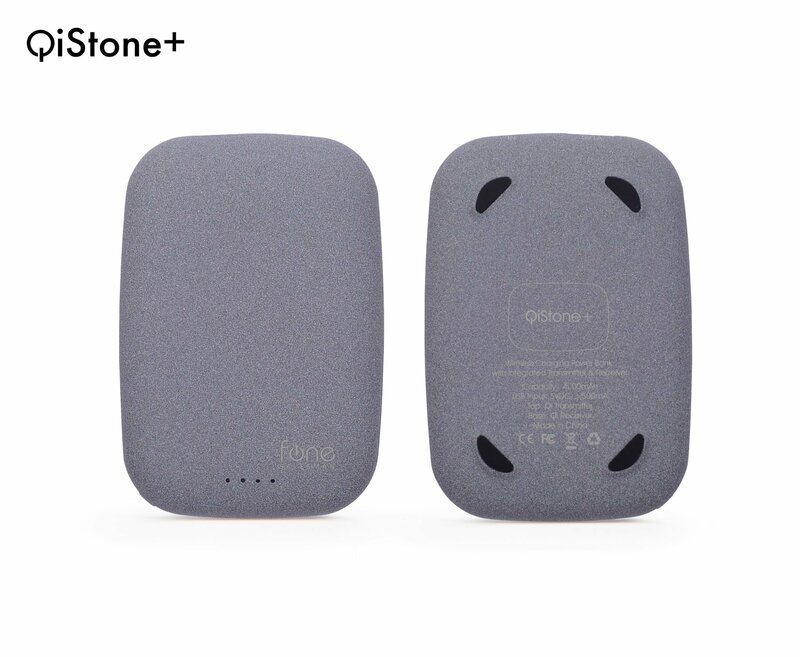 QiStone+ is an elegant Portable Wireless Charging Power Bank that allows you to charge any Qi-enabled device on the go. 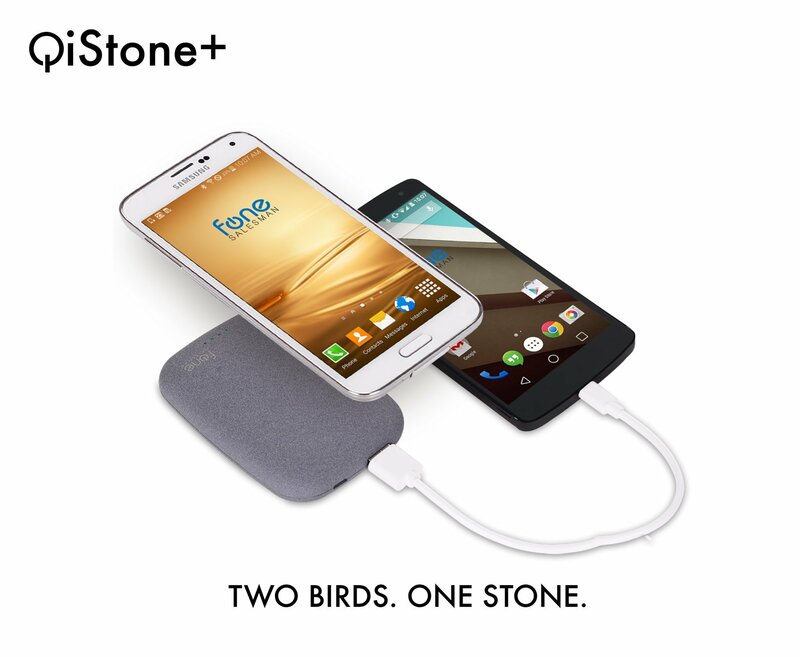 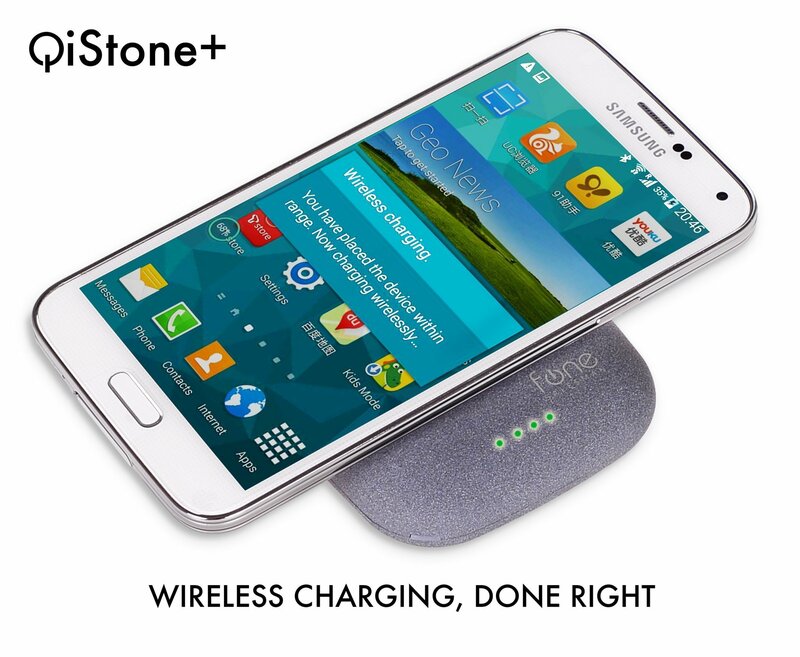 Charge QiStone+ wirelessly, or charge other device wirelessly. 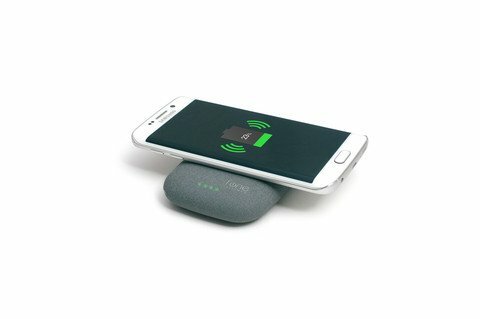 It uses the Qi Wireless standard, is compatible with all Qi Receivers (such as S5 SlimPWRcard, S5 PWRcard for Samsung Galaxy S5, iQi Mobile for latest iPhone phones). 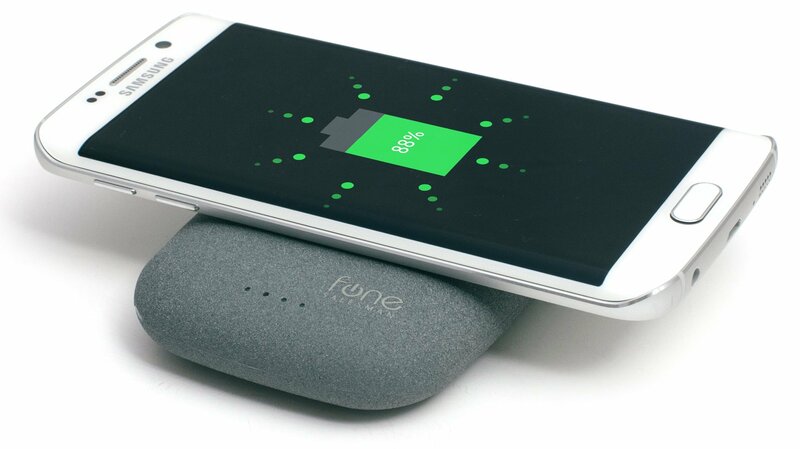 Works with Qi-compatible devices like Nexus 5 and Moto 360 out of the box. 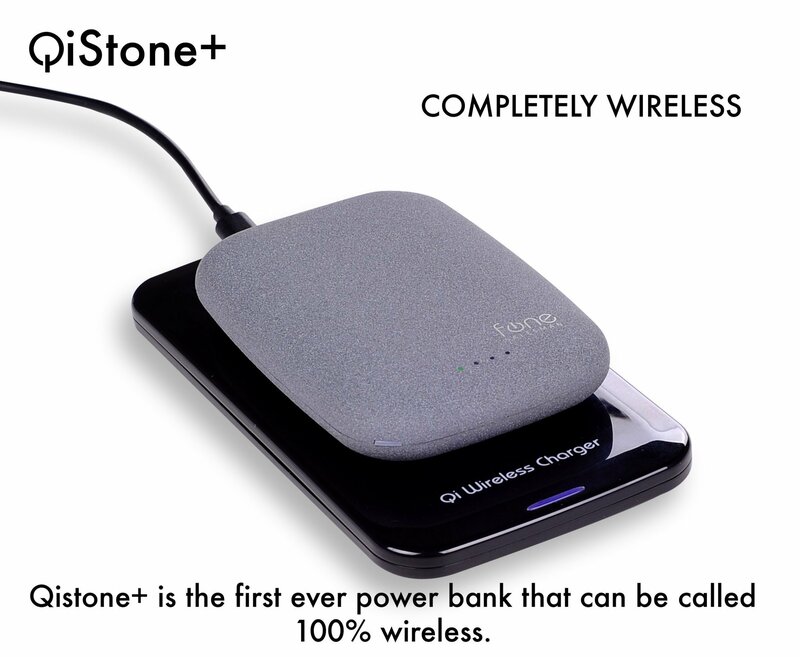 With its 1.0mA USB port Wired Transfer is also an option too.